A free musical extravaganza combined with a Beer and Food Festival featuring live bands & acoustic acts over three days. 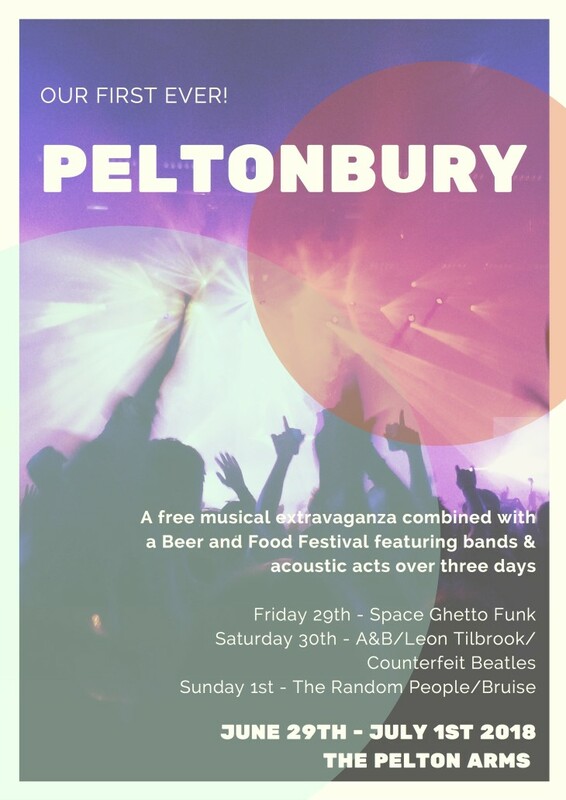 Friday 29th - Space Ghetto Funk (London based bass funk band blending funk, jazz, hip hop and psychedelic rock with hard backbeats and mighty horn melodies). Sunday 1st - The Random People (all girl band with attitude from SE London)/Bruise (London based progressive folk duo of singer-songwriters).